Ganghwa County is a place of spectacular cultural bloom, retaining the Prehistoric Age's precious Jiseokmyo (dolmen), along with Goryeo Era's Palmandaejanggyeong (registered as one of world's important cultural legacies,Tripitaka Koreana), Keumsokhwalja, Goryeo jagi, etc. 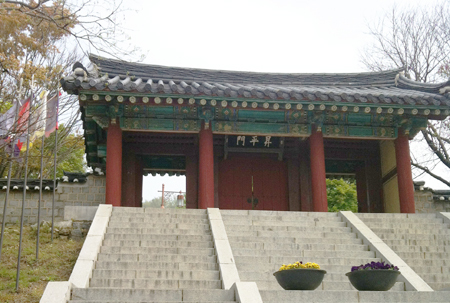 In Joseon Dynasty, Ganghwa used to be the shelter for refuge during Jeong-Myo-Horan and Byeong-Ja-Horan (name of battles), and at the end of Joseon Era, Ganghwa witnessed the tragic history of Daewongun's Seclusion policy (national isolation policy) and Catholic suppression, which led to the French Battleship Incidents, Byeon-In-Yangyo and Sin-Mi-Yangyo (name of battles), as well as Unyangho Incident leading to the Treaty of Ganghwado. Based on these facts and the relics and treasures it retains, which total 14 small and large temples and 107 cultural relics, Ganghwado can be said to be a homeland of history. 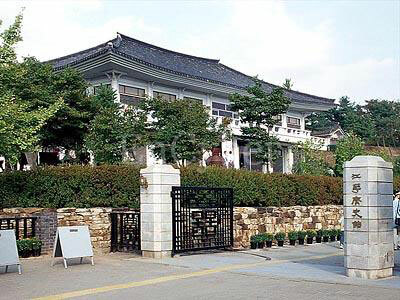 To foster the defense of the Fatherland, the latent potential and the culture of wisdom of the strong people of Ganghwa were revived, the building of Ganghwa Yeoksagwan (History Museum), which started in 1984 and lasted for five years, totalling 1.67 Billion Won opened in september 14, 1988. It is a place where you can find the highest form of history and the sacred precincts of the foundation of the state, all in one well-organized place. 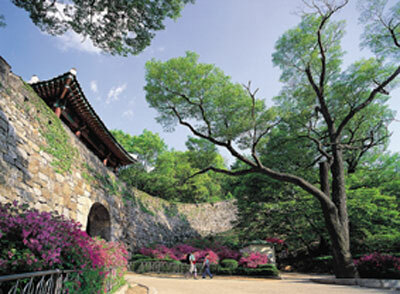 Gwangseongbo(fortress) was established in 1658, and Hwado-don were built together to expand the defense of Ganghwa and belonged to it at the 5th year of King Suk-jong(1679) in the Joseon dynasty. Gwangseonbo(fortress) was a fierce battlefield where it was engaged against Asia Fleet of America in Commemoration of the war, In Gwangseongbo(fortress), ?there are a monument to praise a general Eo Jae-yeon and a tomb of the 350 patriotic martyrdom nameless heros in 1977. 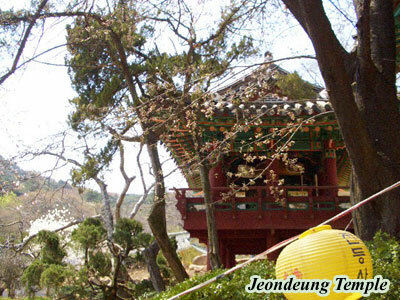 Jeondeung Temple is an old temple situated on Mt. Jeongjoksan. Monk Adohwasang of Goguryeo established this temple, and when Queen Jeonhwa during the reign of King Chungryeol (reign 1274~1308) donated a jade lantern to the temple, it was renamed Jeondeungsa Temple. 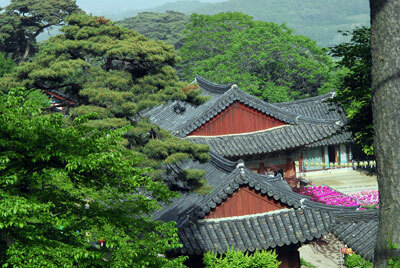 At Jeondeungsa Temple, there are many attractions to see, including the Daeungjeon main building, and the Yaksajeon building. Inside Daeungjeon there is a peculiar statue of an ugly woman with a naked woman under her, and another figure above the pillar. There is a legend concerning the figure. In the past when Daeungjeon was being built, the head carpenter fell in love with a villager working at a drinking establishment. Because he loved her, he gave her all the money he had earned, but she ran away. The carpenter lay sick for a while, then as his revenge, he worked all night to create the sculpture. In contrast, the Yaksajeon building has sculptures which are beautiful. The ceiling curves inward with detailed colorful carvings, such as lotus flowers. In the temple yard there is a bell from the Song Dynasty of China, called Beomjong. 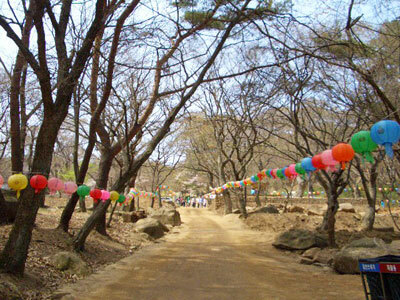 Jongdeungsa Temple is not only beautiful inside but outside as well. Especially the sea that you can see from the temple is exquisitely beautiful in the morning and evening. 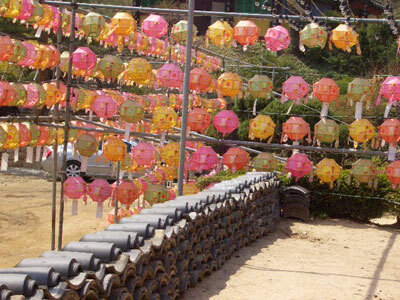 Greeting sunrise at Jeondeungsa Temple is a nationally famous activity. Also nearby is Jukrimdawon Tea House, where you can relax. The Dolmens were generally used as tombs, also used to symbolize communal tombs or altar for religious service. They are called "Goindol" in Korea, "dorumen" in Japan and seobung in China and in other places they are called dolmen or megalith. The dolmens are megalithic culture, which appeared after the beginning age of agricultural development, and the number of dolmens around the world counts for about 55,000 and 26,000 of them are scattered in Korea, which is about 50% of the entire number of? dolmens. 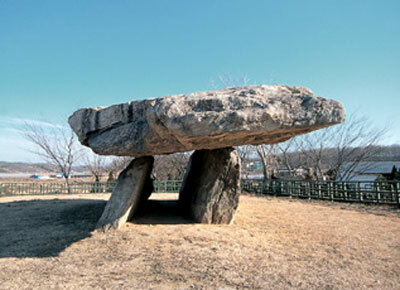 This means the Korea plays an important role as the center of megalithic culture. This place is site of the royal palace where the Goryeo people had resisted vigorously against Mongolian invasion for 39 years. 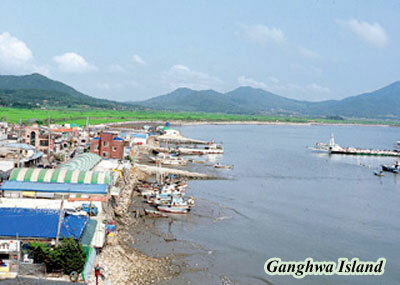 On account of strong recommendation of generals, King Gojong moved his capital to Ganghwado with the advantage of natural and strategical point of view.